Home Recording Studio Equipment Guide! What's the Best Setup? There has never been a better point in time to build your home recording studio. Today’s digital technology provides incredible quality at unheard of prices—a far cry from the equipment I started on as a teenager. I remember my first “studio,” a Tascam Porta 02 4 track cassette recorder and a cheap microphone. There was no eq or onboard effects, and the primitive noise reduction circuitry excelled in reducing high-frequency clarity while doing little to reduce tape hiss—not a lot of features considering this deck was several hundred dollars in early 90’s money. Although I loved that deck and still have it to this day, no amount of skill would have produced professional results. You would always be able to tell it came from a cassette. Today, however, with the help of a computer you probably already own, you can create excellent sounded recordings—which with practice and skill—can truly yield professional results. So if you’re new to recording and don’t know what to you need to get started; please read on. We will go through the basics you need to get started, and once you are recording and having fun, you can always add to your collection of gear. You don’t need the most powerful computer out there. 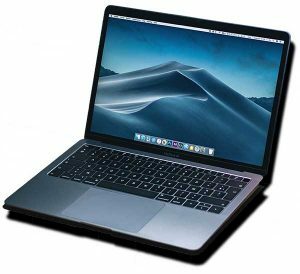 Chances are the computer you already own is more than adequate. Perhaps needing only small RAM upgrade. or a 7200 rpm drive. This is the way to go if you intend on using a lot of plugins or tracks. If you need to do a Computer upgrade check out what Amazon offers. An Audio Interface is the hardware that connects your microphones and line-level inputs to the computer for recording. It is also what allows you to hear the playback of the music you record. Most starter interfaces are USB, meaning you just plug them in and they are basically ready to go. and a pair of monitor outs in case you want to use external monitors. I suggest two channels because they aren’t much more expensive than single-channel interfaces, and they allow you to record in stereo when needed or record two sources such as guitar and vocals at the same time. Most every manufacturer makes one of these in the $99 to $199 range. The majority of interfaces also come with some form of DAW software. A Digital Audio Workstation (DAW) is a software program which allows you to record, overdub, and mix your music. The DAW which comes with your interface should be more than enough to get you started. I have two recommendation starting with the Focusrite Scarlett 2i2 which is an excellent value. It also comes with a free 16 track version of the Pro Tools DAW software and plenty of free plugins to get you going. If you’re not familiar with plugins, they are software programs that work within your DAW that provide additional features such as EQ, compression, reverb, limiting, delay, and other effects. The package also comes with several virtual instrument plugins, allowing you to record drums, bass, and keyboard sounds within your DAW. Another good option is the PreSonus AudioBox USB 96 which sells foraround $100. It comes bundled with Presonus’s Studio One DAW software, a lesser-known but excellent DAW format. Like the Focusrite mentioned above, the PreSonus features everything you need to get you going including a quality audio interface, DAW software, plugins, and soft synths. The Microphone or Microphones you choose depends on what you will be recording. If you’re recording acoustic guitar, acoustic piano, other acoustic instruments, or vocals, then I would recommend a condenser microphone. However, if you are recording a guitar amplifier, you can’t go wrong with a Shure SM57 dynamic microphone. Also consider the environment you will be recording in, as condenser mics are sensitive. If you are recording near loud traffic or have noisy neighbors, a condenser mic may not be the best choice. I know I have often lived in noisy areas and recorded vocals with a nice dynamic mic, such as a Shure SM7 or SM58, while the much more expensive condenser microphone stayed in its case—and I was never unhappy with the results. This “Swiss Army” mic is at home in front of guitar amps, snare drums, toms, and is also a great vocal mic. Like the SM57, it is affordable, practically indestructible, and can be used on almost any source in a pinch. Usually under $100 a pop, they are the ultimate in bang for the buck. Condenser microphones can range from $99 or less, to up into the thousands. Still, you can get good results from cheaper mics if you use your ears and are patient with mic placement. I recommend a good cardioid condenser mic—a mic which picks up sound from the front and rejects sound, at least to some degree, from the back and sides. Since they don’t pick up the reflections of the room sound, they are perfect for recording in less than ideal environments. I would also look for a condenser mic that does a lot of things well. 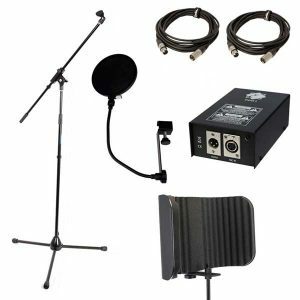 It features a small diaphragm condenser mic that is excellent for acoustic instruments and drum overheads but can also be converted into a vocal microphone when the foam top is placed on top of the mic. I had a quick vocal recording session one day, and the only microphone we had was this mic (a friend of mine had received one to review for a publication). Considering the price of the mic, I was quite pleased with the results. all of which are reasonably priced. 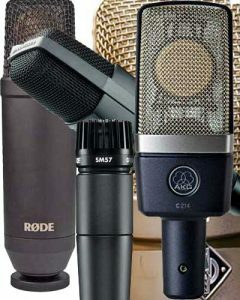 Recognize that affordable condenser mics often have a bump in the high frequencies that can result in a brittle or harsh sound on some sources. This, however, can be avoided if you use your ears and play with mic placement. Mic placement is such an overlooked component of recording technique. If you get sibilance on a vocal track, move the mic higher or lower. Trust me, when micking a guitar amplifier, for example, a movement of a couple of inches will make a massive difference in tone while yielding a much more natural sound than excessive eq. Make sure to use your ears. Record a little bit of a track, then go back and listen. If it doesn’t sound right, adjust the mic first before grabbing an eq or another type of plugin. I prefer closed or semi-closed back headphones because they prevent leakage to your mics while recording. When recording vocals, for example, you don’t want the drums or click track bleeding into your mics. I also recommend finding a pair that is comfortable to wear as you will be wearing them for hours on end. I’ve found the AKGs to be especially good for mixing. While headphones are essential for recording, they are not the best solution for mixing. You can definitely get away with not having monitors for a while; I did so for years. 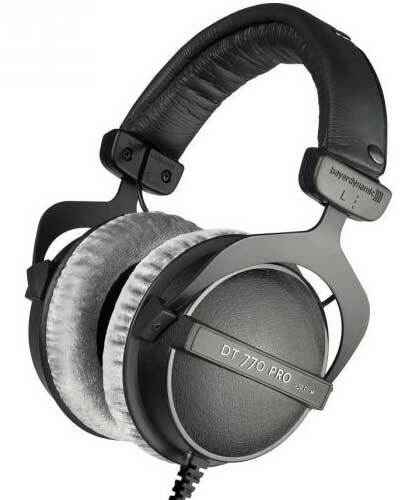 But at some juncture, you will want to get a pair of studio monitors. They’re not only great for mixing but also for letting others listen to your work and recording anything where there is no risk of microphone leakage. You will also need quality ¼” and XLR microphone cables. and a boom stand for easy microphone positioning. If you play guitar or any other type of tunable instrument, I strongly recommend buying a quality tuner. There is nothing worse or frustrating than having a great take ruined because it’s out of tune. Check out Amazon for studio accessories. Professional room treatment is expensive and probably not something you want to do if you are starting a home studio on a budget. 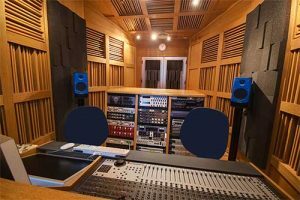 There are still, however, many things you can do to optimize the quality and sound of your recording space. While I don’t recommend completely deadening your room and sucking all of the life out of it, there are a variety of practical things you can do to reduce unwanted frequencies and resonances. We live in an incredible time. You can find more information on recording technique in a ten-minute online search than I found in the first ten years of home recording. 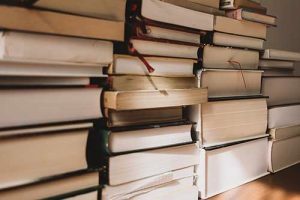 There are so many recording books, websites, and YouTube videos out there which explain in detail all of the things I learned through years of trial and error. Use them to your advantage. Just make sure the information you listen to comes from a reputable source. Here are some of the best in Music Recording & Sound. Start Building your Home Recording Studio Now! In the time since I began recording I have gone from 4 track cassette to 8 track reel to reel, to 16 track reel to reel, to ADAT, to DA-88, and finally to a Pro Tools DAW recording system. When I think of the leaps technology has made in such a short time, I’m truly amazed. 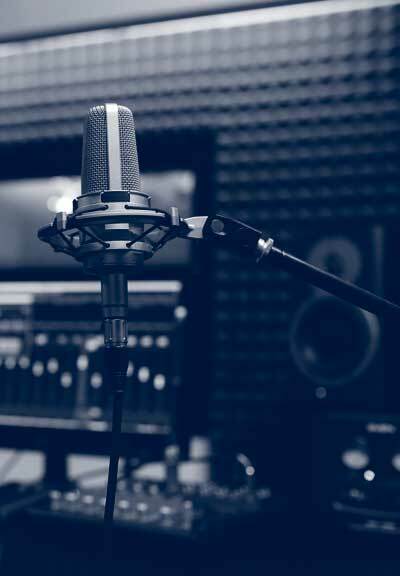 Not only can people today record on a budget, but they can also create recordings which hold their own against works created in professional studios. This is something I never dreamed of in my youth. So if you’re interested in a starting a home studio, there’s no reason not to. The equipment is affordable, answers and tutorials are easy to find, and the sound of your music played back through a DAW is just as exciting as it was back in the good ole’ four-track cassette days, perhaps even more so.